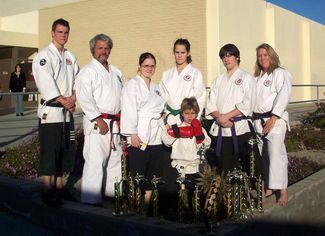 The 2008 USKA Southwest Regional Championship Tournament yields victory wagon for Shinpu-Ren Family Karate. Six team members attended the tournament in Palm Springs California on January 19, and all members return home victorious. Shihan Alex Morris topped off the day by taking the Grand Champion Title for Adult Black Belt Kumite. Also making for a special day was a first time, teen competitor that took First place titles in both Kata and Kumite. The total wins this day were 11 top four placings and one Grand Champion Title. 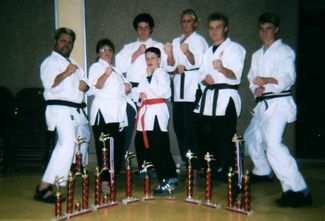 Shinpu-Ren Family Karate School took seven competitors to the USKA Southwest Regional Championships in Palm Springs California. All seven students placed in their respective divisions. The Morris brothers Shihan Alex and Aaron Morris both Championed in their Kumite competition. All in all the team came home with eight top three titles, for a total of 11 awards.